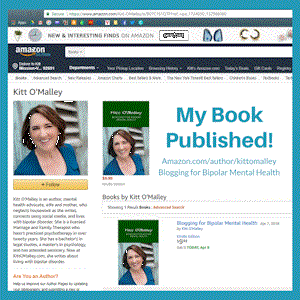 Published Blogging for Bipolar Mental Health today! Visit Amazon.com/author/kittomalley. So excited!